I know by now you’ve probably have your dessert menu planned for Thanksgiving; but let me offer one more little tantalizing taste to bump things up a little. Let’s face it, the main attraction for Thanksgiving desserts is pie: pumpkin, sweet potato, apple, mince meat, pecan . . . mmmm, I can’t wait! This sweet little southern sauce goes fabulous with all those pies and will give your guests something to really lick their plate over. 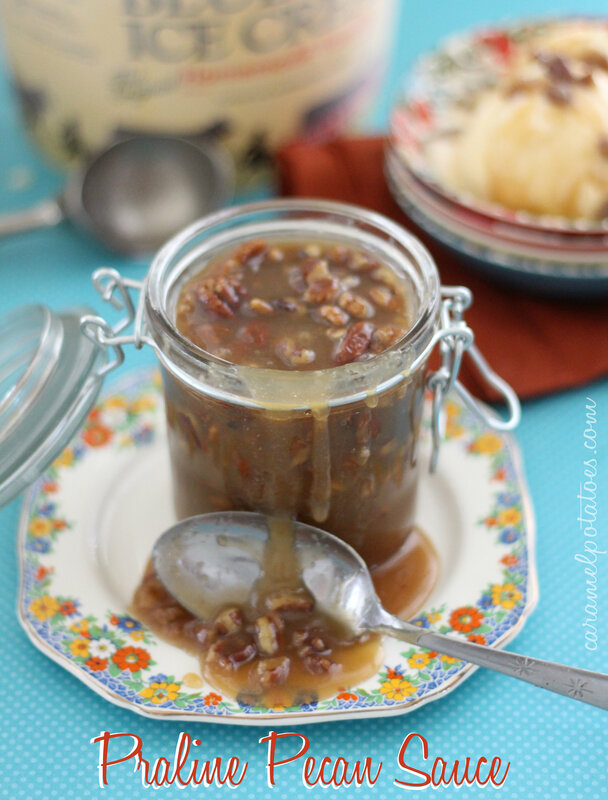 Praline Pecan Sauce could be considered a dessert in and of itself, but when you spoon it over your holiday pies you’re going to create rave reviews! It’s easy to make and set it out with the pies for a real treat. In addition to pie, try this sauce on ice cream, cheesecake, bread pudding, waffles and pancakes – just about anything you can think of; or for that matter you may just want to eat it straight from the jar – nobody would blame you! Preheat oven to 350 F. Spread pecans on a baking sheet and bake for about 8-10 minutes or until toasted and fragrant, stirring halfway through. Combine sugar, half-and half, and butter in a small saucepan over medium heat. Bring to a boil; cook, stirring constantly, 1 minute. 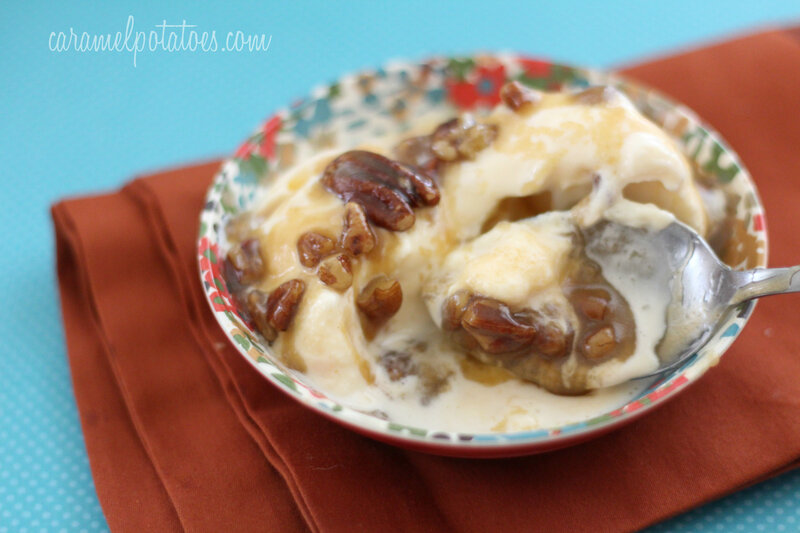 Remove from heat; stir in pecans and vanilla. Cool, stirring occasionally for about 30 minutes. Serve warm. You can make this sauce up to 3 days ahead and reheat. I love the idea of spoon this on my pies! Great idea.